Star kids are ruling the Bollywood charts these days. Be it getting papped post their workout sessions or be it them slaying it on the red carpet, all are in a que to dethrone one another as the competition is getting hotter. But out of the lot, one demure belle stands out with her petite frame, gorgeous looks and regal etiquette. We are, of course talking about Sara Ali Khan whom we spotted recently, and her blushing ethnic style took our hearts away. 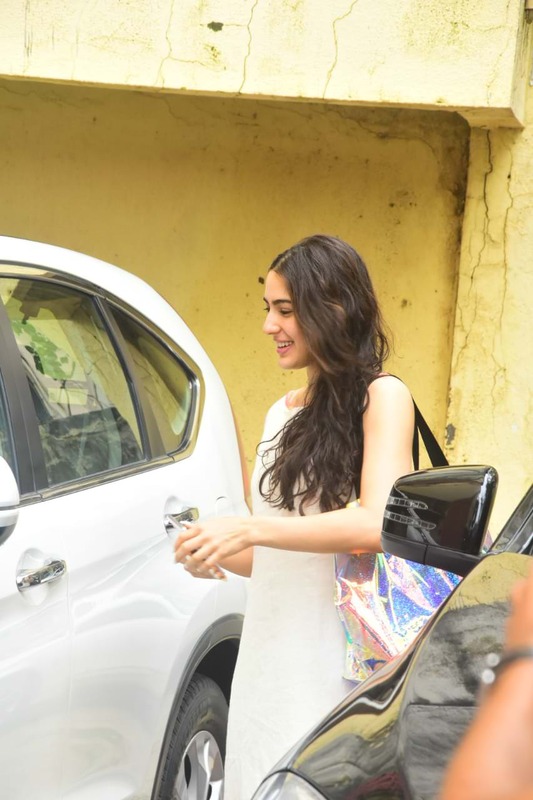 Sara Ali Khan has been spotted post her workout session on an everyday basis. The debutante knows how to keep herself in a perfect shape and is leaving no stone unturned in doing the same. On Wednesday, the babe was snapped while making her way out of the gym. In the photo, the newcomer looked drop-dead gorgeous donning an ethnic wear. She wore a white long kurti with a flared skirt which had red borders on the hemline. Sara finally completed her look by pairing it up with Kolhapuri juttis. Smart and breezy dressing! Fatima Sana Shaikh dares to wear white in this muddy Mumbai Monsoon!